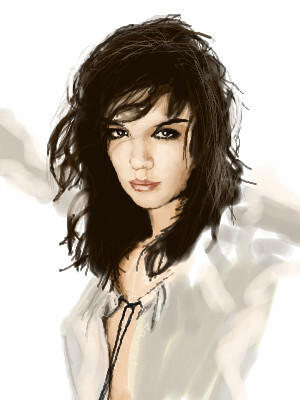 This one looks a bit like Katie Holmes in the eyes, which are beautiful in this .You better cut it out,or we will start thinking you can draw women well....you wouldn't want that to happen! This is the best one, yet. Please don't stop. Too late, your secret is out. she looks so real - i can almost touch her! Amazing... I love her eyes. our clothes? I didn't realize we were sharing them.